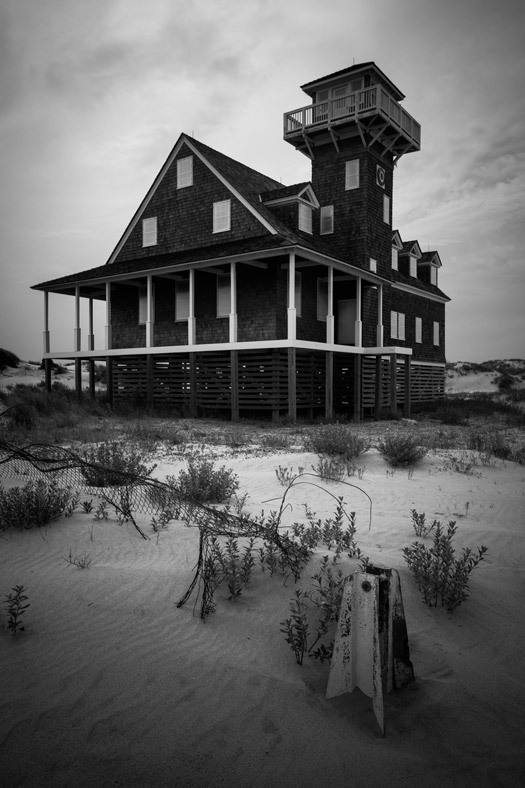 The Oregon Inlet Life-saving Station was built in 1898 to provide life guard services to those visiting and living on the chain of islands off North Carolina now known as the Outer Banks. It was abandoned during most of the 90s and 2000s, resulting in half of the building being swallowed by sand dunes, but was fully restored in 2009. The life-saving station is located on the northern end of Pea Island, right after crossing the Herbert C. Bonner Bridge. While you can't go inside the building, you can walk up to it, and there's usually few people around. 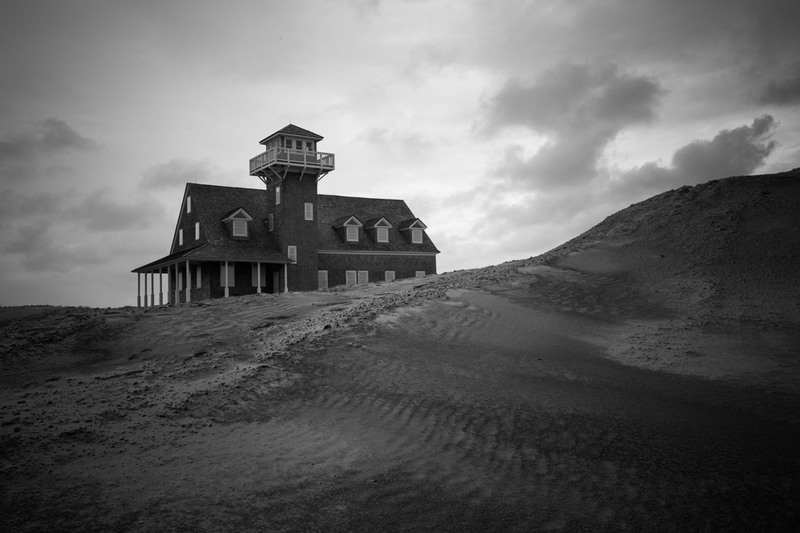 The surrounding sand dunes are some of the most undisturbed on the Outer Banks and great for photography.